Secunia has a new version of their Personal Software Inspector. This is the best tool I know for checking your programs and being alerted about programs with security vulnerabilities. Secunia does not simple let you know that a program has been updated. It alerts you about programs which have know security flaws which have been patched by the vendor. 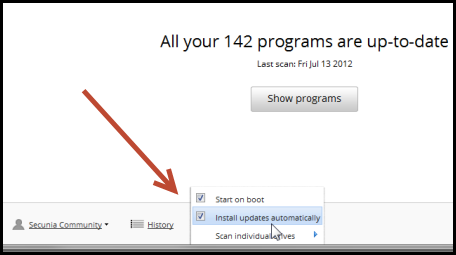 The new version does a much better job of updating those programs for you, automatically. I recommend upgrading to version 3 if you haven't done so already. Unless your computer is very old or a netbook, I recommend having it run all the time (start on boot) so it can automatically keep you up to date. I also recommend letting it try and update as much as it can automatically. If it can't update something automatically, it'll let you know and you'll need to to it by hand. They have a nice video tour here.